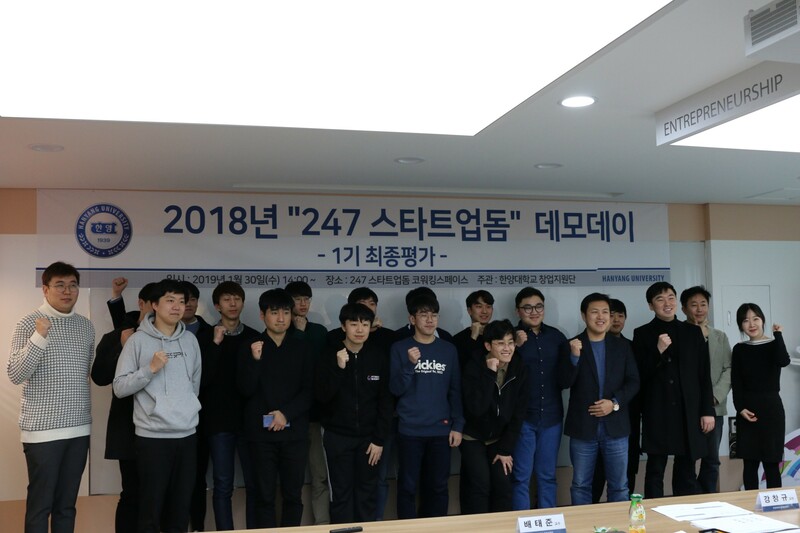 In the afternoon of January 31, the 247 Start-up Dorm Performance Presentation was held at a seminar room of Hanyang University (HYU) 247 Startup Dorm. The event was held to assess the 2018 performance of the student entrepreneurs who have moved in since the establishment of the dormitory last year. From now on, the event will be held annually for the residents. Officials from HYU Start-up Support Foundation and all residents were involved in this event. Through careful examination, several teams will benefit even further after a one-year extension of their dormitory residence. The presentation consisted of reports on the performances of 13 tenant companies, the announcements of what they have planned for 2019, and questions and answers from the assessors. Five assessors, including Koo Tae-yong, the Head of HYƯs Global Business Center, gave both criticism and advice for the development of such companies, while the representatives passionately appealed to their own business.